Welcome to Kendallville Manor! We are a 45-bed skilled nursing facility offering top quality rehabilitative care as well as excellent long-term care. We have recently remodeled our facility, including beautiful updates to all of our private and semi-private rooms, all public areas, and new landscaping. We recognize how important it is to select the right health care option to meet your individual needs. Kendallville Manor has the programs and support services to assist you and your loved as their care needs increase or decrease. 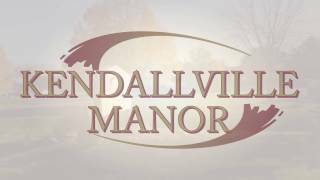 Here at Kendallville Manor you will find the comforts of home. The environment is clean, caring and friendly. The facility size of 45 beds allows for more individualized and personal care. We encourage you to decorate just like you would at home. A nice patio area invites times of fellowship and friendship. You will not find a more dedicated team of professionals in town � the needs of our Residents come first. We are proud of our home at Kendallville Manor and treat each Resident like a member of our family! It is our goal to meet the needs of each resident while maintaining their privacy, dignity, and integrity. That�s why our philosophy at Kendallville Manor is "Residents First". This philosophy affects everything we do; from caring for our residents to the manner in which we conduct the business and operations of our company. I was told I needed knee replacement surgery on my right knee. Since I am single and live alone, I knew that I needed to go to a skilled nursing facility after I was released from the hospital. I toured Kendallville Manor, and decided to give them a try for my post-surgery care. I was impressed right away. The facility was clean and beautiful, and the staff was friendly and caring. After arriving, I was asked if there was anything else that would make my stay more comfortable. I mentioned I would like rails on my bed and a recliner to help me sit comfortably. The staff immediately called the maintenance supervisor at his home, and he came and put bed rails on for me, even though it was a weekend. Then, on Monday morning, another staff member brought a recliner from her home and delivered it to my room. 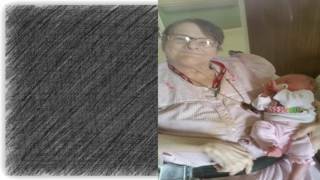 I was at Kendallville Manor for 13 days, and it was an incredible experience for me. The in-house therapists made me feel like I was the most important person they had ever worked with! The food was tasty and eye appealing, and the care and pampering I received was immeasurable. I can truly say that I would go back to KM if the needed arose! And it will, as I have to have my other knee done! If you or a loved one find they need a skilled nursing facility, I highly recommend Kendallville Manor. You won't regret it! Just tell them Alice sent ya! I have lived at Kendallville Manor for several years, this is my home. The staff takes good care of me and always treats me well.